Like unique birthday invitations? 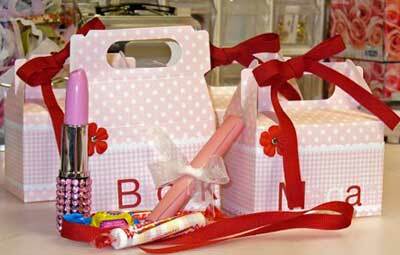 Then take a look around at what Make Your Own Invitations has to offer. We showcase the best handmade invites that have been made by people just like yourself so turn your creative side loose for your daughters, girlfriends or mothers next birthday and see what you can make! 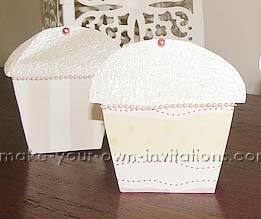 These are some invitations that I made in the shape of cupcakes for my daughters 9th birthday. I used card stripped card and folded in half with the folded part at the top. I then trimmed the sides starting from the top corners angling slightly inwards down to the bottom on both sides. This gave it a more cupcake shape. On top of the folded card I add the crushed pearl paper which is cut in a semi circle and pasted on to the fold. Pearl beading is added for a cute finish.